Need Help Finding Something on the FOA Website? 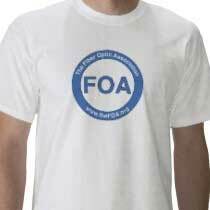 Provided by FOA corporate members - listed on the FOA website in map and list form. Want To Become A FOA School? 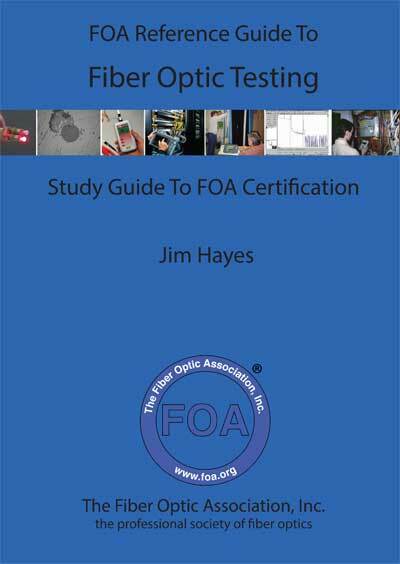 Are you experienced in fiber optics but not yet FOA CFOT® certified? FOA's "Work To Cert" program is just for you. More FOA YouTube Lectures - >100 total ! All in the FOA online newsletter. Beginning on January 1, 2019, all FOA certifications issued or renewed will be for 3 years. For our entire history, certifications have been on an annual basis with an option to renew for 1, 2 or 3 years. Most certification bodies worldwide have standardized on 3 year certifications. FOA has been working with a number of organizations that use our programs but have standardized on 3 year certifications. FOA has decided that it is time to change our policies to align with the majority of other organizations. That will make little difference to most of you because you renew for 3 years now, a more convenient and cost-effective way to keep your certification up to date. 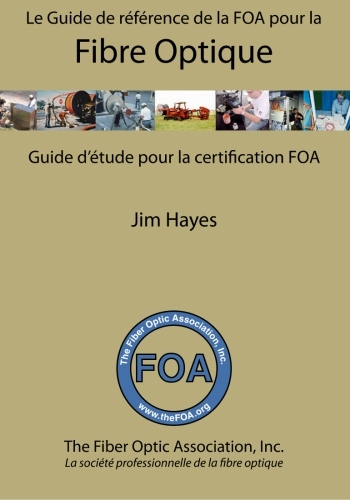 Remember that FOA certification renewals include all the certifications one individual has. FOA does not charge for any additional certifications, so, for example, if a CFOT also has specialist certifications like the CFOS/T or CFOS/S, they are included at no additional cost when the basic certification is renewed. 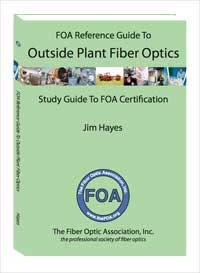 As part of our program to adhere to international standards for certifying bodies and to ensure FOA certified techs are up to date on the latest technologies and applications, FOA is also considering adding a short online course called "Fiber Update" as a future requirement for renewal. This course would cover new technology and applications that FOA thinks all technicians should be familiar with. Over the next year we will be testing this concept by offering it to selected individuals. You may be one of those selected! Have you seen the new FOA Guide section to OSP Construction? Most CFOTs deal with fiber after installation - splicing, terminating ans testingyou, so this section tells what happens before the CFOTs arrive. It's a great lesson for managers and supervisors too! 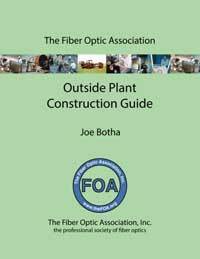 There is a new free Fiber U course on OSP Construction based on this FOA Guide section . 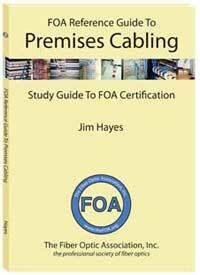 The basic fiber book, OSP fiber and premises cabling books have been updated for 2019. 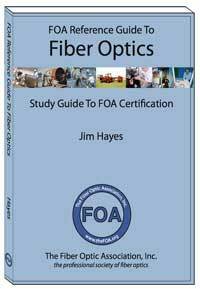 Fiber U Offers Free Online Self-Study Programs, and "Fiber U Certificate of Completion" For All FOA Certification Courses. Read more at Fiber U. If your organization is interested in becoming an FOA Approved School, see New School Requirements and Application Procedures and Requirements For FOA Training Programs. If you are a current FOA Approved School, here is the School Update/Renewal Form. Teachers in all grades can introduce their students to fiber optic technology with some simple demonstrations. FOA has created a page for STEM or STEAM (science, technology, engineering, arts and math) teachers with materials appropriate to their classes. 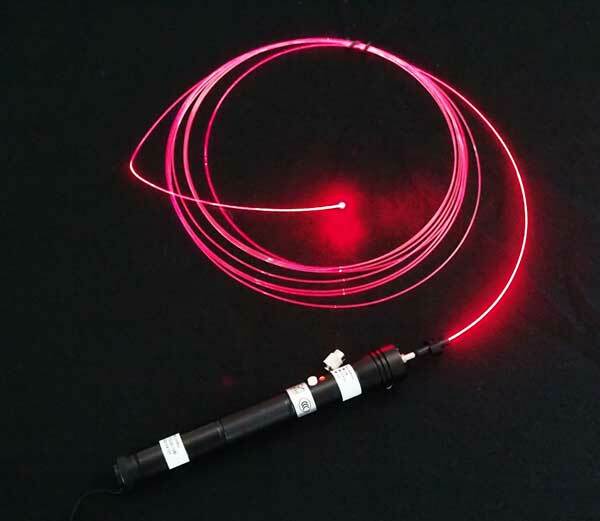 Fiber Optic Resources For STEM Teachers. FOA also has a new YouTube Video on "Careers in Fiber Optics" and a "Careers In Fiber Optics" Website. See below. How Fiber Works - Live! Want to see how fiber works, how attenuation is wavelength dependent and what causes connector loss? View our "Fiber Optics - Live!" YouTube videos. Search for products and services offered by hundreds of FOA corporate members worldwide. Corporate members are listed on the FOA website in map and list form. 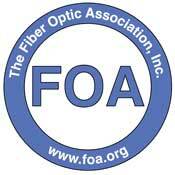 FOA offers corporate memberships to companies involved in fiber optics as manufacturers, contractors, installers, etc. FOA Corporate Members get substantial discounts on membership/certification renewals and direct certifications. Other benefits include access to training and direct certifications. Read more. 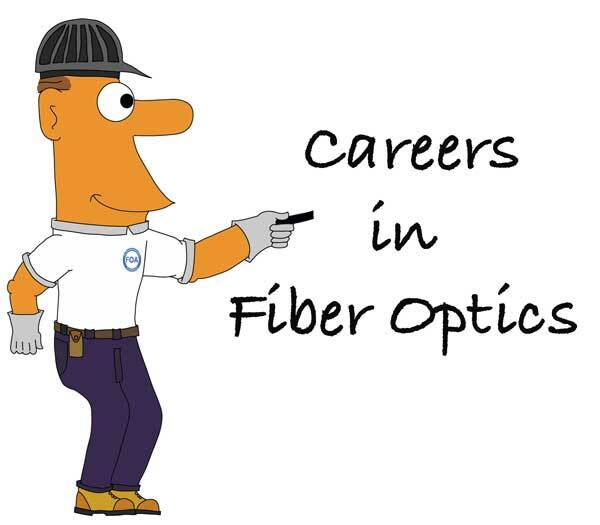 FOA has a new YouTube Video on "Careers in Fiber Optics" and a "Careers In Fiber Optics" Website. Interested in exploring a career in fiber optics? 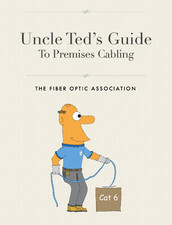 FOA has created a YouTube Video and a webpage that describes what a fiber optic worker does, where they work and how to get started. It's mainly aimed at high school students but it's relevant to anyone interested in changing careers also. Go here for the YouTube Video on "Careers in Fiber Optics" or the FOA Careers In Fiber Optics webpage. Looking For A Job In Fiber Optics? 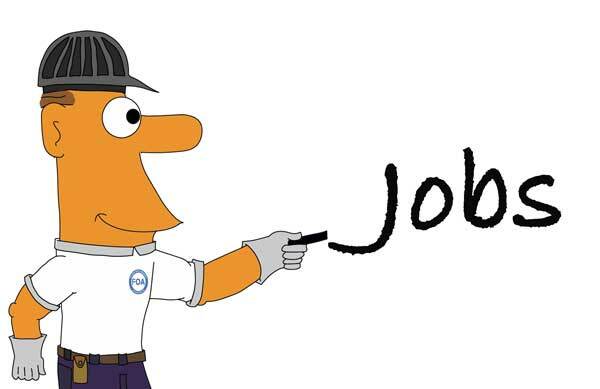 If you have job openings, let us post them on . Most industry standards are written for manufacturers so they can build products that are interoperable to allow multiple sources in the marketplace. These manufacturers are responsible for interpreting these standards for their customers. FOA has been requested to create standards for contractors, installers and network users, providing a generic interpretation of these standards. We've created a few already on testing, one of the most confusing issues in fiber optics. Furthermore, we've provided them in a 1 page summary format, making understanding them much easier. 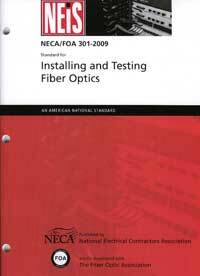 Because of its importance to users, contractors and installers of fiber optic networks, The FOA and NECA have agreed to make the NECA/FOA 301 Fiber Optic Installation Standard available free from FOA. Standards usually cover components and systems and how to test them, but rarely get into installation issues. This standard is derived from FOA educational material put in standards form and approved by ANSI as an American National Standard. It's specifically written to be used in contracts to define "installation in a neat and workmanlike manner." Go here for instructions on how to download your free copy. The FOA has created a special FOA channel on YouTube, thefoainc, where we're posting instructional videos and lectures for everyone's use. We've got lectures on premises cabling and fiber optics and hands-on demonstrations about fiber optics and communications cabling - yes, even "Cat 5"! 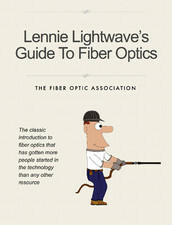 Lennie Lightwave and Fiber U are back! Learn the basics of fiber optics in preparation for taking a training course, refresh your knowledge or prepare for the CFOT exam online at Fiber U online. 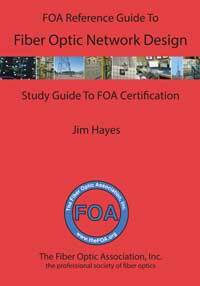 The FOA has it's own reference books for everyone working in fiber optics - contractors, installers and end users as well as for use as textbooks in classes at educational institutions. They are available as printed books or ebooks on your iPad or Kindle at much lower prices than most textbooks since we self-publish and sell online, cutting out the middlemen. Click on the book images for more information. 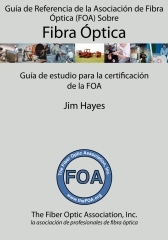 The Reference Guide To Fiber Optics is also available in Spanish and French. Click on any book for more information about it. These two guides are simple introductions to the subjects. They will explain the applications, jargon, components and installation in a quick overview. Looking For "Hands-On" Fiber Optic Training? You can find a list of FOA approved schools that offer CFOT® certification here on the list of FOA approved schools. Our new sortable listing and Google Map make finding the right school for you easier! FOA Certified persons must renew their CFOT® or CFOS certifications when they expire. Please make sure we have your current address. Download the renewal form, or renew online.